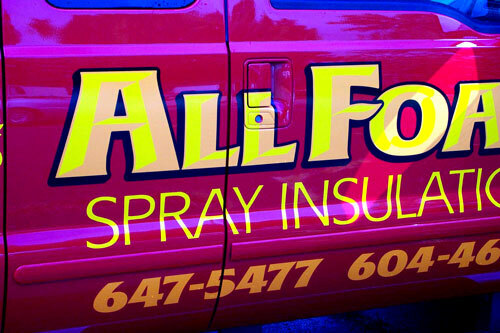 We offer fast, friendly service, quality products and excellent workmanship at the fairest prices. 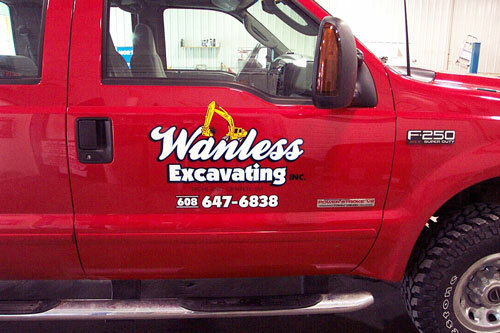 We do a variety of signs, not to mention business cards and decals. 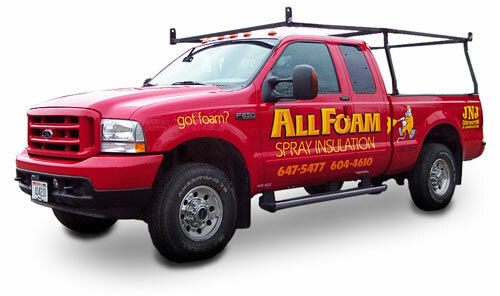 We will strive to help you with your project in a professional, timely, and affordable manner. 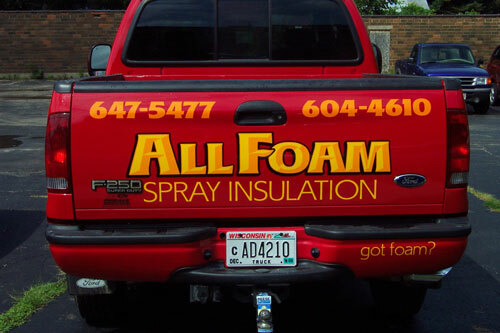 All Foam Spray Insulation needed a logo for their starting business. 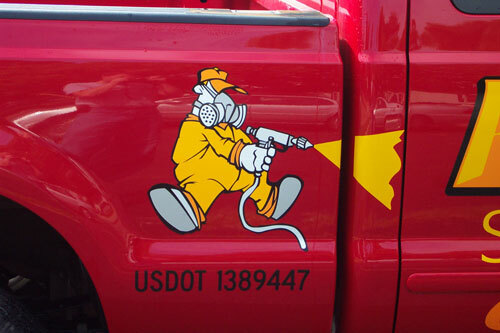 A custom logo was designed for the customer and then applied to his truck, his web-site, and a brochure was also designed. View the web-site. Let me help you develop a professional look for your company. Click here to see more of the Vehicle Portfolio. 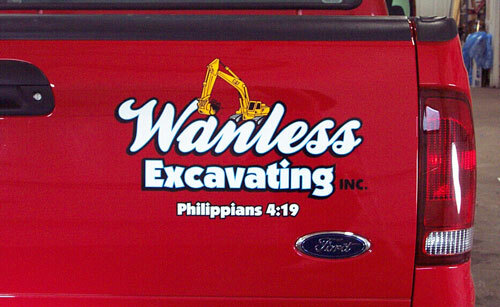 A new logo was designed for Wanless Excavating. 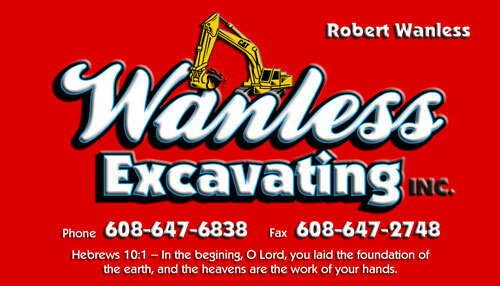 We also	designed new business cards for them. Click here to see more of the Vehicle Portfolio. Some links on this site are not linked at this time, since this site is currently under construction. I apologize for any inconvience. Please stop back to see updated pictures. I work for Computer Doctors of Richland Center, where I am also part-owner. I also work full-time as an IT Assistant for Richland County Health & Human Services. 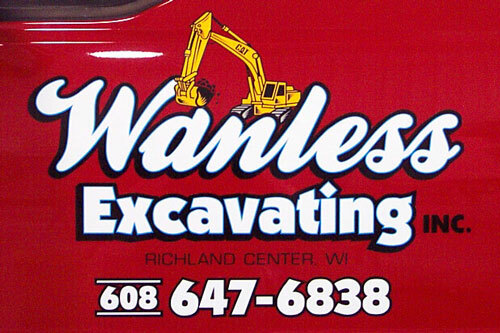 At this time I have about 12 years experience in sign work.